Courtyard San Antonio Airport hotel is located just blocks from San Antonio International Airport and offers complimentary airport shuttle. SeaWorld, Six Flags Fiesta Texas and 3 different golf courses are also nearby. 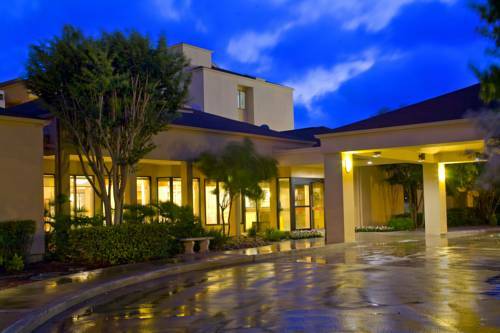 Guests of our SAT airport hotel near Alamo Heights enjoy comfortable, business-friendly rooms, 24-hour fitness center and outdoor pool and whirlpool. Our hotel near San Antonio Airport features a state-of-the-art lobby with inviting, flexible spaces to work or relax in, free Wi-Fi throughout and easy access to the latest news, weather and airport conditions via our GoBoard. The highlight of our new lobby experience is The Bistro - Eat. Drink. Connect., which provides guests with healthy food and beverage offerings in the morning and evening dinner service with cocktails. And make sure to take advantage of our beautifully landscaped courtyard, available for meetings and celebrations. Our prime locale and well-appointed facilities make us an excellent choice among SAT airport hotels. - Blue Star Brewing Co.